What, does that sound weird to you? You read it correctly. Cookie sammies. But with creamy dreamy chocolate in the middle. Chocolate made of chickpeas. Chickpea chocolate. Chocolate hummus. WHY WOULD THERE BE ANY OTHER KIND. I’m so weirdly obsessed with good ol’ garlic hummus that I often forget about the wide world of sweet hummuses. I understand if that sounds weird to you. But it’s about time you step outside of your savory hummus comfort zone. Times are changing, and you’re gonna get left in the dust if you limit yourself to solely salty garbanzo spreads. It tastes like… chocolate frosting. I mean I ate half the bowl with my finger as the dipping vehicle. Then I had the magical idea to stuff it inside my new favorite guilt-free cookies a la Ginny Bakes. It was a moment of genius. When I was little I used to wait in line forever at the pool waiting for those unbeliebable M&M ice cream cookie sandwiches. They were the best thing that ever happened to my eight-year-old taste buds. These sammies are the next best thing. They’re perfect for my twenty-five year old taste buds. Instead of M&M’s, try rolling them in cacao nibs or chocolate chips. Or relive your glory years and roll them in M&M’s. I won’t tell. Let’s chat about the outside of these ‘wiches. The cookie “bread,” if you will. 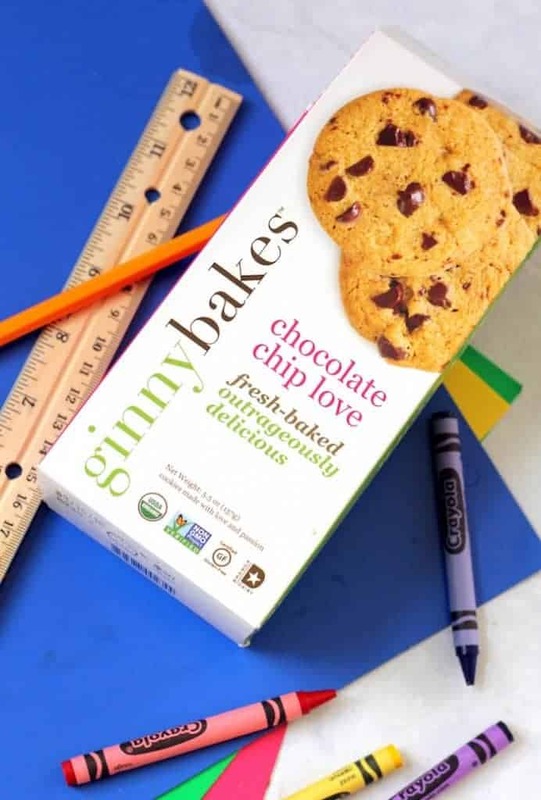 Ginny Bakes is a family-owned company specializing in dreamy treats that’ll satisfy your sweet tooth without breaking the bank in the calorie/fat/sugar department. Because they aren’t the size of your face, you can eat a few without feeling totally weighed down. These babies really are made with the finest ingredients, in addition to being gluten-free, organic, non-gmo, vegan (some varieties) and kosher. These are a treat that everyone can enjoy mindfully. Perfection! 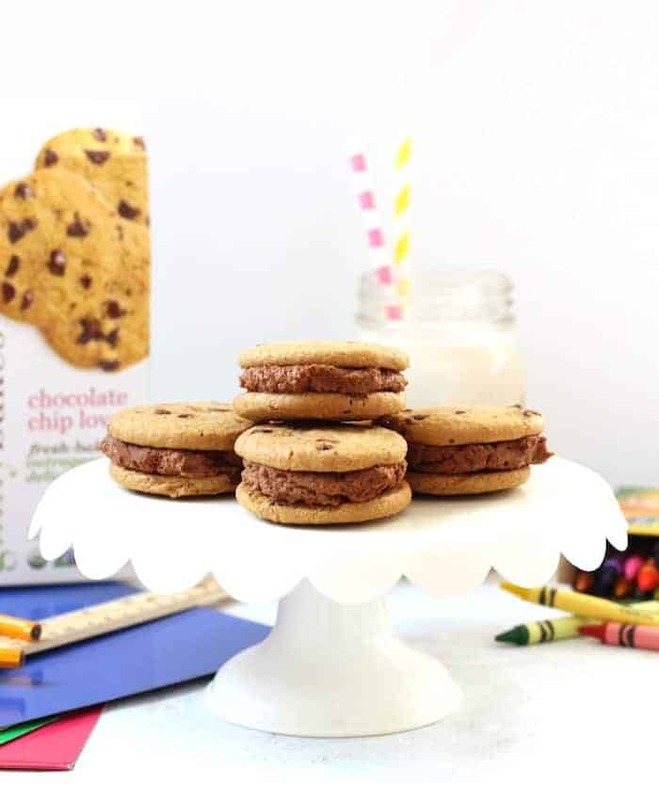 Ginny Bakes offers a bunch of cookie flavors including chocolate chip, double chocolate, coconut oatmeal, dreamy vegan, chocolate chip macadamia, sweet cinnamon, ginger crisp, cranberry pistachio, and butter crisp. In addition to cookies, they also make bars, crumbles, mixes, and mini bags of cookies for on-the-go sweet snacking. I rolled with the chocolate chip because…chocolate all the time. Want to try some for yourself? You can find these yums at Whole Foods, Earth Fare, Fresh Market, etc. Check their store locator for more info. The cookies taste perfectly sweet and crunchy in addition to being just the right size. I love that I can snack on a couple as a treat and not feel over-the-edge full. This is not a boring, healthy shmealthy cookie. You can taste the love in these gems! 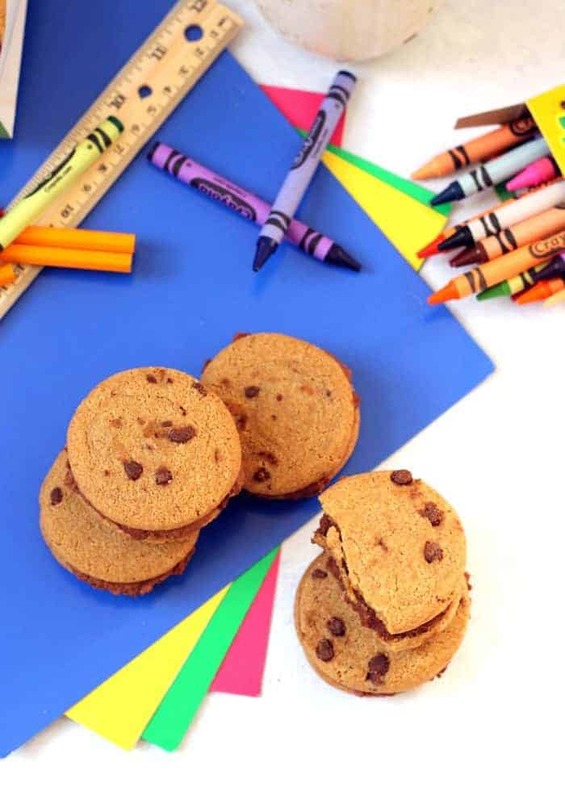 They’re the ideal back-to-school treat for moms and kiddos alike. The lunch box is calling! 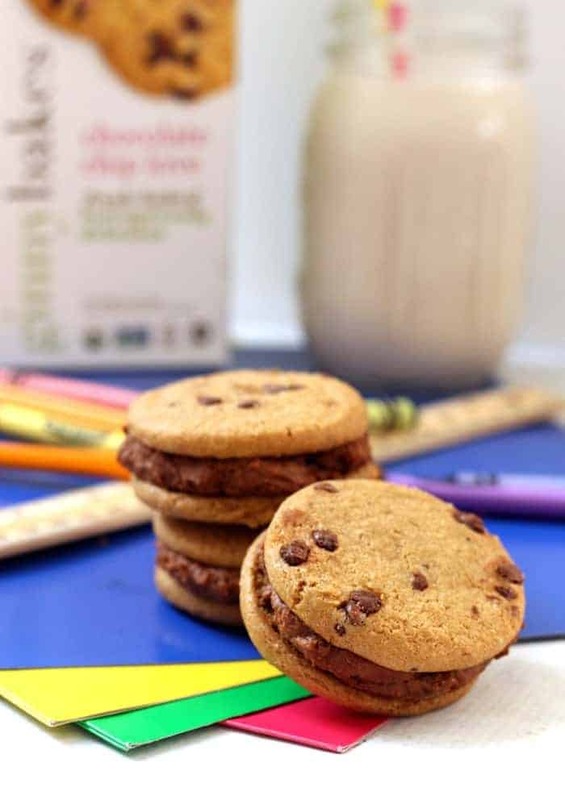 A healthier high-protein version of the classic cookie sandwich! Place all hummus ingredients in a large food processor. Process until completely smooth and creamy. This post is sponsored by Ginny Bakes. Thanks for supporting the brands that make Hummusapien possible! This is awesome! You’ve just made my cookie-loving and hummus-loving heart swoon. Great idea…I don’t think these are weird at all. I can get down with some chocolate hummus! :D I laugh in the face of new food adventures! Weird? No. Delicious? Heck to the YES. It’s amazing how a few years n the blogging community can totally desensitize you to any sort of strange food combo. I’d definitely be eating this straight from the bowl with a spoon. Hummus cookie sammies? That’s awesome!! Haha and I love Ginny Bakes! I’ve never had the cookies, but I love the bars! As a fellow hummus fanatic… I am dyyyying to try this! Looks delicious! that chocolate hummus, though! I could picture myself using my finger as the dipper, too… or maybe some pretzels or graham cracker sticks… the possibilities are endless! Oh I’m totally on board with the dessert hummus. Love that you put it between two cookies! 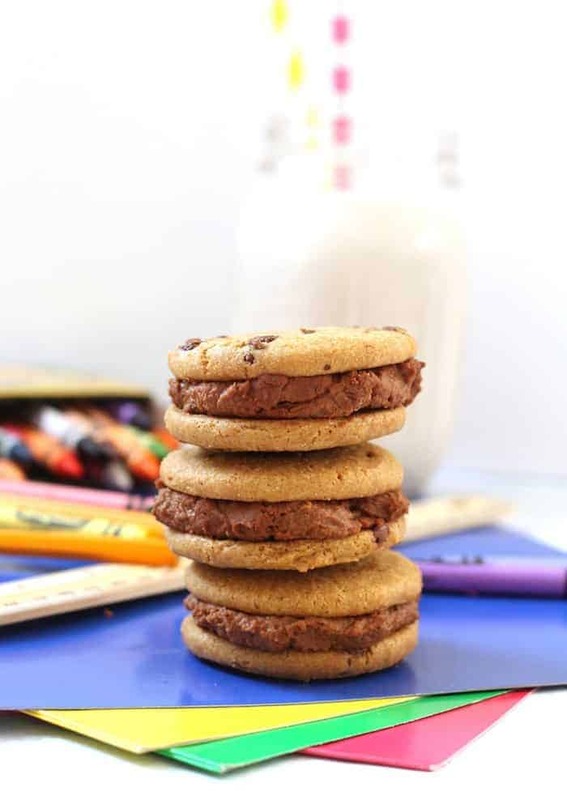 I may need to whip up a batch of my healthier chocolate chip cookies to make these. SO happy you’re loving the site :) Happy holidays!